Most of us have seen the commercials touting the many benefits of reverse mortgages. When they became more popular and well known, many believed they were the solution for senior citizens in need of a cash infusion. Now, though, there are new worries that some government agencies insist are putting the elderly at risk. In fact, in the past few years, there have been substantial changes in reverse mortgages that are “more complex” with higher “long term costs”, according to a report by National Consumer Law Center. The Consumer Financial Protection Bureau is weighing in as well. This latest report was one of the more in-depth efforts made on the subject and what the investigation discovered should serve as a reminder for families to closely gauge their options away from an aggressive lender, whose goal is sometimes nothing more than excess profits. Perhaps even more worrisome is a new trend that suggests younger borrowers or those just entering their retirement are cashing out their equity, which is leaving them vulnerable and with fewer options. Harvard has also recently concluded its own study. It found a big shift in the housing dynamic of Americans over the age of 50. According to the study, homeowners are in a better financial position than renters. The majority of homeowners over 50 have retirement savings with a median value of $93,000 while more than 75 percent of renters have no retirement and only $1,000 in savings on average. More than 40% of those over 65 with a mortgage or rent payment are considered moderately or severely burdened. Reverse mortgages seem like an easy solution and there are instances where they indeed serve their purpose, but for a growing number of seniors, it only adds to the problems. Those who go into retirement with a mortgage, at least 30% of their income goes toward housing costs. A reverse mortgage is a loan secured with the property. Payments aren’t made until the borrower dies, moves out of the home permanently or sells the home. Meanwhile, the borrower is responsible for general maintenance and upkeep on the property. He must also make payments on any property taxes and homeowners insurance. The amount the borrower will receive depends on the value of the home, current interest rates, and the age of the borrower. Most are insured by the Federal Housing Administration. 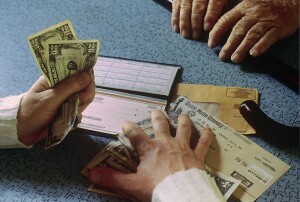 In the beginning, the benefits for older Americans were many, especially if they were unprepared for retirement; however, in recent years, the number of predatory lenders has grown considerably and as a result, it can be difficult to find a lender who is ethical and operates within the confines of the financial laws. In fact, some have compared the current environment to that of subprime loans before the bottom fell out in 2008. That alone is troublesome, but it gets worse as adult children learn too late the details of the loan their parents entered into. It’s usually then that the shortcomings in the regulatory efforts are realized. Consumers should speak with their estate planning lawyers to ensure they understand, in its entirety, the benefits and potential problems a reverse mortgage poses. Their lawyer can often suggest a better solution that protects their estate and their assets while also serving their immediate purposes and needs for cash.